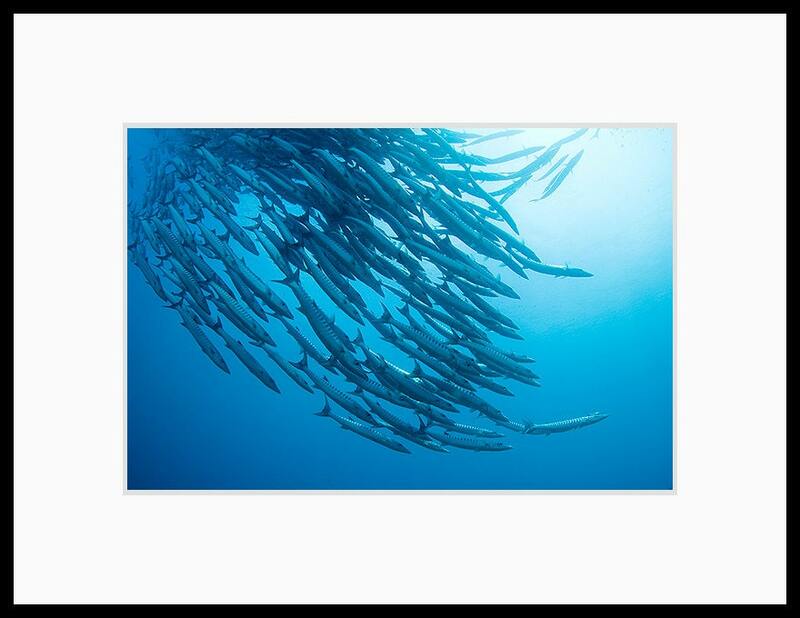 Underwater photograph of a huge school of barracuda that swam right over me in a swirling mass of fins, scales and teeth. 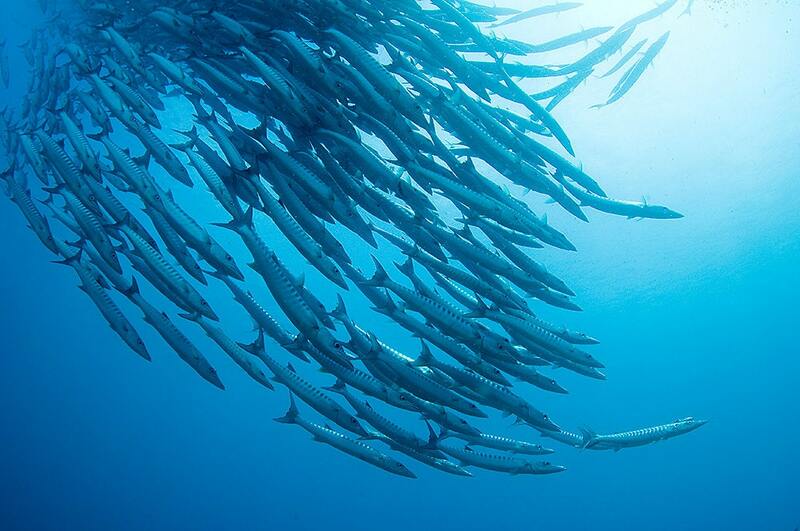 I encountered this majestic scene while diving at Sipadan Island in Malaysia. Artful images of creatures, cultures, sites, carefully chosen and displayed; reasonably priced, well packaged, promptly sent. Thank you.